Bacopa monnieri, also known as Brahmi, and water hyssop, is an herb that is commonly used in natural and Ayurvedic medicine. This is the traditional type of medicine that is practiced in India. Ayurvedic medicine uses bacopa monnieri in a number of different ways and for many different purposes. For example, it can be used as a heart and nervous system tonic as a diuretic, according to the University of Maryland Medical Center. It has also been associated with uses for treating epilepsy, asthma, mental issues, and thyroid disorders. There have been very few studies* that have involved bacopa monnieri in terms of its weight loss benefits, but it is still found in a number of different diet formulas on the nonprescription market shelves today. If bacopa monnieri does help with thyroid function, it may be important in helping to counteract issues with weight gain and fatigue that are associated with that gland when it is underactive. That said, if you feel that you might have hypothyroidism, it is important to speak with your doctor before you begin any treatments on your own, as it may be a symptom of a greater problem, or it may require treatment with prescription drugs. 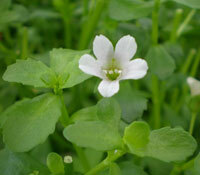 On the other hand bacopa monnieri is also known as a diuretic. This means that it can cause fluids from the body to be flushed away and lost as urine. 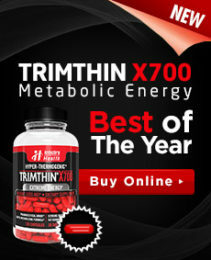 This feature makes it more useful to bodybuilders than it is to individuals who would like to lose weight. The reason is that when bodybuilders compete, they often want to be able to eliminate any additional fluids in their tissues that could cause padding over the muscles that would reduce their definition. That said, it is included in some weight loss pills in order to make it look as though the individual is losing weight, when the truth of the matter is that he or she is only losing a temporary amount of water and no additional fat has been burned away. The use of diuretics can be very dangerous to some individuals as it significantly increases the risk of dehydration and other medical problems. It is important to drink large amounts of water in order to avoid severe side effects when taking substances such as bacopa monnieri. This will help to replace some of the water that is lost and will help to prevent water retention because the body will not think that it is suffering from a drought.